ALLEN PARK — Lions’ right guard Larry Warford could be out for “a little bit” after injuring his knee in Sunday’s win over the Miami Dolphins. Coach Jim Caldwell said Warford is still being evaluated and they will know more in the next day or two. “Hopefully young guys heal fast so we’ll see,’’ Caldwell said. He said it’s the same scenario with right tackle LaAdrian Waddle. Two rookies stepped in — Travis Swanson at right guard and Cornelius Lucas at right tackle. — Matt Prater missed a field goal in the third quarter from 42 yards due to a combination of penetration from the Dolphins and a low kick. “It was a little bit of both. It was penetration and sometimes when you have that much penetration it’s tough to tell if trajectory of the ball is a factor, but we had a lot of penetration,’’ Caldwell said. Prater was good on field goals from 26 and 50 yards. The 50-yard field goal tied the game early in the fourth quarter. 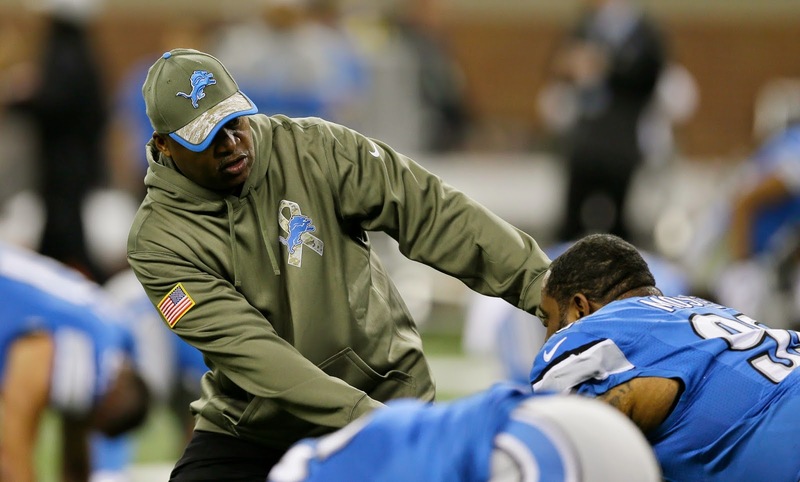 — The white-knuckle finishes in the Lions’ last three games — all wins — are a good thing according to Caldwell. The Lions have won the last three games by a total of 6 points. — Caldwell said he watched the majority of the Sunday night game when the Packers mauled the Bears 55-14. He says he won’t be fooled by the outcome of games like that because the Bears have too much talent to count them out. The Lions at 7-2 are atop the NFC North while the Packer are at 6-3, the Bears at 3-6 and the Vikings at 4-5.